For the first time, astronomers have detected an atmosphere surrounding a “super-Earth” exoplanet which is close in size to Earth, another key step towards finding a world similar in size to ours that is also habitable. It’s not Earth 2.0 just yet, but it’s another indication that we are getting closer to finding a world that reminds us of home. The planet, GJ 1132b, orbits the red dwarf star GJ 1132 (also known as Gliese 1132) in the constellation Vela, at a distance of only 39 light-years, very close by in cosmic terms. It is only 1.6 Earth masses and 1.4 Earth radii, making it a “super-Earth,” a type of exoplanet which is larger than Earth but smaller than Uranus or Neptune. 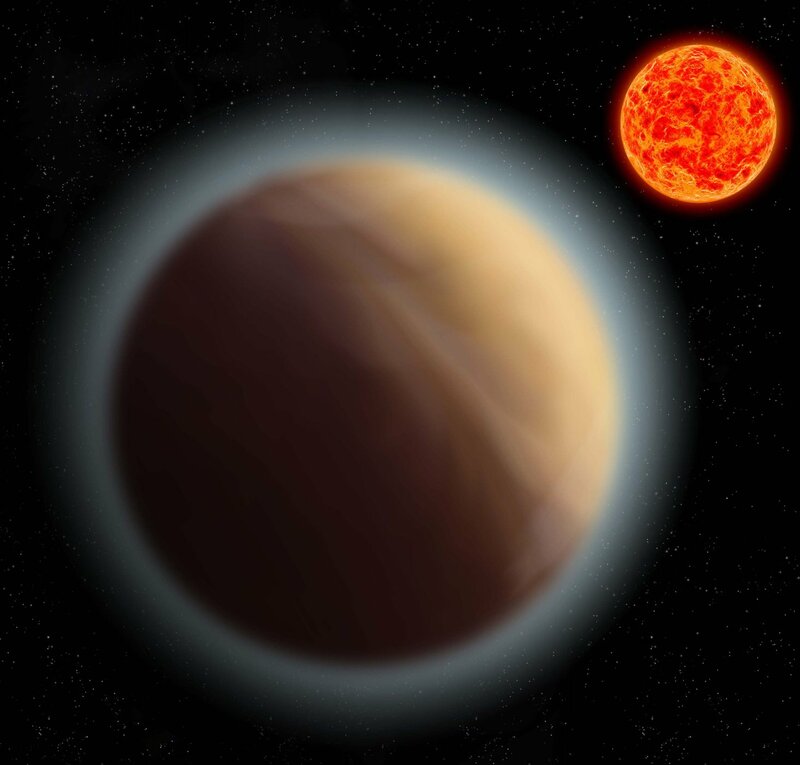 Previously, an atmosphere had also been detected round the super-Earth 55 Cancri e, but that planet is 8 times the mass of Earth. GJ 1132b is much closer in size to our planet. Other atmospheres detected so far have been on larger gas-giant type worlds.